A song of a synth as much nebulous as the mockeries of the specter of a nightingale on drugs is rolling in loops over some chords in suspension. And then over a mattress of percussions of a Tablas kind. The rhythm lively, filled with syncopated harmonious loops and fed by starving percussions, "Heart and Sound and Soul and Vision" besieges our ears like a sonic train with more than 10 minutes of breakneck pace. The repetitive harmonies, and their shadows which overflow of parasitic noises, run like breaths of flutists in a competition for the most accelerated melody, like in a Polka for asthmatics, while the percussions feed an avalanche of bludgeoning which tumble in the roundness of a vampiric bass line which undulates and drives at top speed. If the play of the percussions amazes here, the melodic texture of the synth returns us in the Harmonia years with vampiric lines which flee the impulsive bludgeoning of the beatbox. The influences of Harmonia and Conrad Schnitzler feed even more the very hubbub approach of "The Road" and its texture of electronic noises which hiccup at the opening. A bass line in the shape of an upward spiral assails our senses with a minimalist rhythmic ritornello while the title goes astray towards the roots of a progressive rock of the 70's. It's a heavy and very lively piece of music, we can really dance there and pitch ourselves on the walls here, which is built around the same line of noisy and infernal rhythm with old harmonies, drawn from an organ which hides in a synth, which play constantly in loops. This is pure Krautrock! This is a solid minimalist progressive heavy rock! "For Richard Pinhas" is a slower, almost ambient, track with a splendid convoluted structure. The rhythm is clumsy and crawls in a noisy fauna full of synth squeaks and of layers filled of white noises where the metallic percussions slam and adopt the lento of the abnormally oscillating sequences. That makes so much Richard Pinhas. That makes East/West! Delicious... Braids of synth which unroll themselves such as lines of leaves swallowed by the spiral of the winds, the opening of "33" abrades our ears before that a line of oscillating, and slightly jumping, rhythm is taming this opening to redirect it towards a kind of techno for Zombies marinated. Synth layers crisscross the atmospheres of this rhythm which is became an infernal spiral where are squeaking the harmonies of a synth possessed by spectres. Everything becomes hyper syncopated, as soon as we cross the point of 4 minutes. Having fun like a crazy creator with his beatbox, Gustavo Jobim weaves here the most jerky rhythm of “Dezoito”. A rhythm as furious as in "Heart and Sound and Soul and Vision" which eventually is going to collapse under an avalanche of harmonious loops which are not far from forging the supernatural atmospheres from Goblin in Suspiria. 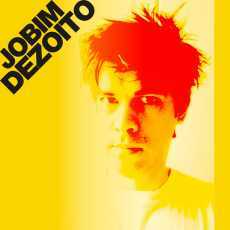 “Dezoito” is a whole change of course in Gustavo Jobim's universe. Faithful to his influences, the Brazilian musician delivers here an opus strong in dissonant atmospheres where the fragrances of the 70's multiply the rebellion of their harmonies in structures of minimalist rhythms forged in the impetuosity of his new machine of rhythms. Yes! A change of course which should please to several...And it's available for a low contribution. Indulge yourselves!